Earlier this winter I was captivated by the exploits of two young men free-climbing the south face of El Capitan in Yosemite National Park, known as the Dawn Wall. 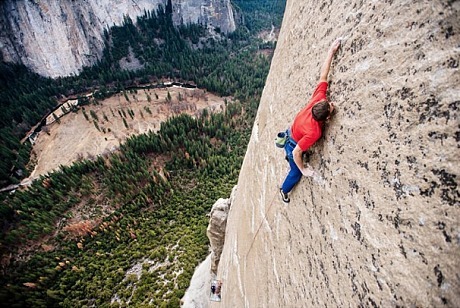 After 19 days on the mountain, Tommy Caldwell and Kevin Jorgeson reached the summit of the 3,000-foot rock, achieving the first successful free ascent of a notoriously difficult climb. Something about the camper challenge of it all appealed to me—sleeping in tents slung from sheer rock, climbing in only the parts of the day when the sun warms the cliff face, spending the rest of the time cooking meals over sterno and sending selfies to supporters in the meadow far below. The athleticism of those young men was impressive. Each “pitch”—a section between two belay points—had to be mastered. Sometimes one pitch took days. The boys would return to their tents, tape up their wounds, and will them to heal quickly for the next attempt. We admire athletes who compete at levels we only dream of. A few weeks later, I went to Florida and spent a week with my 92-year-old mother. I seldom see her more than once a year, and she had broken a hip since my last visit. Her recovery was going well—she was as spry as the last time I’d seen her—but that’s not saying a lot. She struggles to cope with the quadricep strength she just doesn’t have anymore. Walking is going okay but her balance is iffy. 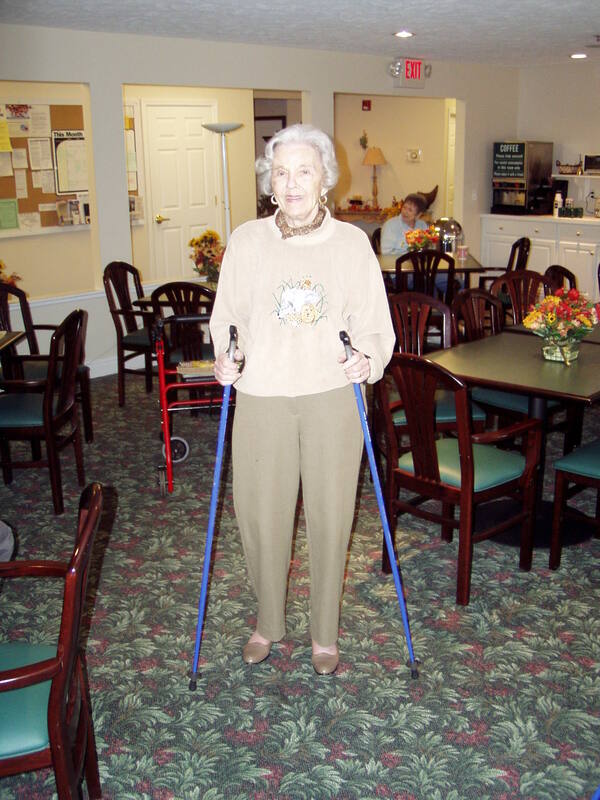 My athletic brother got her a pair of Norwegian walking poles, which she prefers over a cane or walker. They serve her well, even if her Florida neighbors do get a lot of mileage out of them. “Going to the Olympics?” I heard them shout companionably when she ambled by, working those poles. Aging is not a team sport; like rock climbing, it’s a solo competition. But unlike the boys on the Dawn Wall, the elderly don’t have the option of opting out. There is no possibility of heading back to the meadow floor to try again some other year. They face certain knowledge that however hard it is this year, this month, today, it will be harder the next. One can only focus on achieving a personal best as one goes the distance. Next time you see an old person slowly crossing a busy street, say to yourself, “Dawn Wall—fourteenth pitch.” Hear in your mind what the elderly mutter to each other—“Getting old is not for wimps.” Remember that youthful athleticism may be more appealing to watch, but our elders are the true athletes among us. This entry was posted in Commentary, Sarah's memoir and tagged aging, Dawn Wall, nordic walking poles, rock climbing, Yosemite National Park. Bookmark the permalink. This story touched me. As I grow older there are more challenges. I shared this with some friends. Your story touched me as well. For fourteen years I watched over, and witnessed, my elderly parents (now both gone from this world) as they bravely carried on as best they could. I think there’s no greater courage than that of the very elderly who experience their once strong bodies and quick minds becoming ever less capable and reliable. I particularly loved what you said, Sarah, about their not being able to opt out of their climb and return to the meadow below.